The Australian National Audit Agency (ANAO) has released an audit report of the myGov digital service (myGov). The report found that the 4-year (2012-2016) myGov project had exceeded its 2016 target of 5.1 million accounts and six member services. Currently, myGov has more than 10 million active accounts and ten member services. 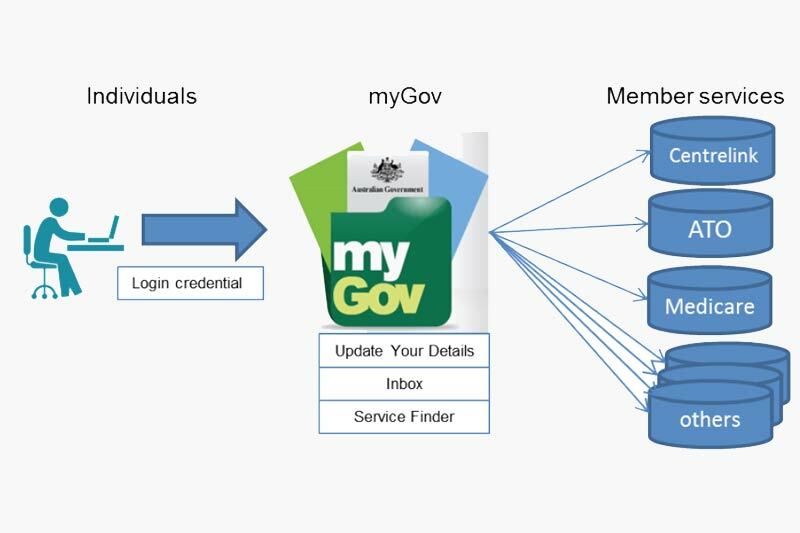 From its launch to June 2016, myGov has supported 160 000 daily log-ins to myGov, 15.4 million links created to member services, 163 million navigations to linked member services, with Centrelink and ATO the most accessed member services; and 67.9 million correspondence items sent to the myGov Inbox in 2015–16. Of the ten member services, the Australian Taxation Office (ATO)has the highest number of clients using myGov. By the end of April 2017, six million ATO clients had linked their myGov account to their ATO client record. myGov was expected to deliver two major outcomes as outlined in the business case: 1) improved service delivery for individuals supported by five key functionalities—single digital credential, Update Your Details, Inbox, discoverability, and data validation; and 2) improved whole-of-government online service delivery capability supported by a governance framework, standardised business processes, and common standards. The audit confirmed that the portal has improved the delivery of government services for individuals,reducing time spent in interacting with government. This benefit accrues where individuals use the myGov functionalities to receive correspondence or update their details, and in particular, where individuals link their account to at least two member services. DHS reported in its November 2016 Performance Report that 46 per cent of myGov accounts were linked to two or more services. Three of the five planned key functionalities have been delivered, enabling individuals to access government services online using a single digital credential; notify changes of personal contact details; and receive digital correspondence securely. The search functionality was partly delivered through an interim solution which enables individuals to perform structured searches of government services. However, it did not allow free text searching and it required users to be logged into myGov. A data validation functionality was designed, but not delivered in myGov. DHS advised the ANAO that this functionality was available via the Centrelink member service and that the use of this existing functionality was considered more efficient. Consequently, myGov users must link their account to Centrelink and access that service to use the data validation capability. The report notes that the myGov platform has been hosted on high-availability infrastructure since May 2015, which has improved performance, especially during peak demand periods, with performance targets (monthly availability target of 99.5 per cent) consistently met. Suitable security and privacy measures were in place to control access and protect sensitive data stored in myGov. The original 2012-13 to 2015-16 budget of AU$$29.7 million was exceeded, with actual expenditure to June 2016 totalling AU$86.7 million. An additional AU$37.8 million in funding was approved by Government, and DHS funded the remaining AU$19.2 million from a pre-approved ICT contingency fund. Operating expenses rose from AU$8.5 million in 2012–13 to AU$37.3 million in 2015–16, primarily driven by the costs associated with supporting the large number of user accounts (nearly double the forecast) and the improved high-availability infrastructure. The audit made two recommendations, both of which have been accepted. DHS and the DTA will share responsibility for the first one, to assist more agencies to make their services available via myGov. The second recommendation to establish a framework to monitor the website’s performance, will be overseen by the DTA, which will consult with member services. He added that improving myGov is just one element of the government’s service delivery transformation. It also includes the billion dollar Welfare Payment Infrastructure Transformation (WPIT) programme, a new $600 million telephony system, claiming processes overhaul, complete revision of sections of the Centrelink website, 250 new call centre staff and other measures to reduce call wait times. Access the complete audit report by ANAO here.